CSS and well-structured documents are a combination that can’t be beat. This tutorial looks at how to transform a Web page using traditional Web design methods into a CSS-based site. In fact, the example will be drawn from a Digital Web content page modeled after those pages covering reviews, interviews and tutorials—tutorials that are amazingly like this one. Look at the layout of the page. You’ll see that a Digital Web page layout has a header, two columns, and a footer. In the header is the logo and tagline for Digital Web, as well as some site navigation including a link to the search and sitemap pages. Then, there are two columns. The right, thinner column is where the links for the current issue’s material rests. Also in the right column are the sponsorship and advertising links as well as a subscription link for the Digital Web newsletter. The left column contains the content against a white background. In this column rests the tutorial header, content for the page followed by the author’s bio, and then three participation links. After that, it’s the footer with the usual copyright notice, a link to the top and a standard ad banner. The first goal in making this page is to focus on the major browsers. This demo is geared towards the recent versions of Netscape, Mozilla and Internet Explorer. Netscape 4 has had a nice life, but I won’t be building this demo to work in that browser. To achieve that goal, the first step in converting a site from more conventional web design methods is to strip out the content out of the HTML tables, delete the spacer GIFs and start with a clean slate (see Figure 1). 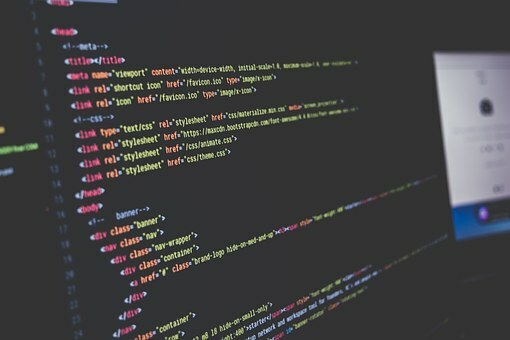 By making a clean break from the past working methods, you cut out any potential problems that could throw a monkey wrench into the new CSS-based design. This stripping down allows you to strategically plan the CSS layout styles. While it’s a good idea to plan ahead, most of the time that’s simply not possible. In order to meet deadlines, planning time gets cut, or a site simply evolves past its original design. The content of the site is then forced into a layout that goes against contemporary practices. Hopefully with this “CSS revolution,” web builders will be able to go back through their sites and actually rebuild and not just redesign their sites to manage any new modifications that have been made since their initial build. But, I digress. After stripping the page down to its bare bones, you’ll want to divide the page into sections. As you saw when first examining the layout, there are basic divisions already in the page: Header, columns, and footer. You will build off of these divisions, creating a structure that associates specific CSS rules to those sections. Now, mark out the background and type colors with the simple CSS rule that follows. This rule creates the thin black line that separates it from the five top links, which you’ll get to later. Digital Web Magazine is a non-profit publication created by a world-wide network of volunteers dedicated to producing quality educational and informative material free-of-charge, to foster the development of the web for the benefit of all. © 2019 - Digital Web. All Rights Reserved.